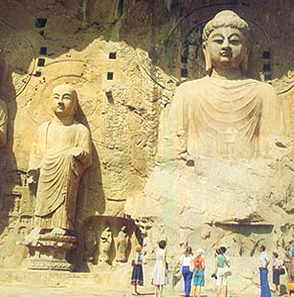 in 1960 by the State Council, as a Key Cultural Relics Protection Site of China. Containing examples of the ancient arts, it also has graceful landscapes and magnificent constructions.Dinner at Indian restaurant. Over night at hotel. In the morning drive 75km to visit the Jade factory and Great Wall at Juyong pass which is the symbol of China and the wisdom of Chinese people. 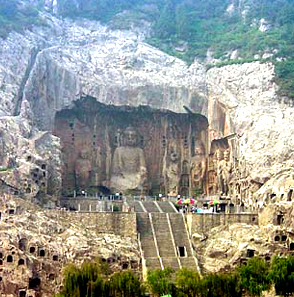 It is very unbelievable that Chinese succeeded in building such a great architecture with simple tools in ancient time. Then visit Ming Tombs (Changling Tomb), consisting of 13 tombs of the emperors of the Ming Dynasty after the capital was moved from Nanjing to Beijing. This is unique as it is the only huge palace made of camphor wood. Dinner at Indian Restaurant .Overnight at the hotel. will take flight to Luoyang. On arrival , you will be transfer to check in hotel . Dinner at Chinese restaurant. Luoyang. Now Luoyang grows over 500,000 peonies, which fall into over 350 species. "Yaohuang" and "Weizi" peonies are named as the "king" and "queen" of peonies. Starting from 1982, Luoyang holds the grand peony festival between April and May every year. Morning you will visit the Ancient City Walls, It is the most complete city wall that has survived in China as well as one of the largest ancient military defensive systems in the world. Bid Wild Goose Pagoda a well-preserved ancient Building and a holy place for Buddhists. Afternoon take flight to Shanghai . Dinner at Indian restaurant. Road which is starts at the Bund and runs westward, with People's Square in the middle. Renown for its bustling and modernization, Nanjing Road earns its reputation as the 'First Commercial Road in China', which is the good shopping heaven for your trip as the same as the Fifth Avenue in New York and Avenue des Champs-Elysées in Paris. 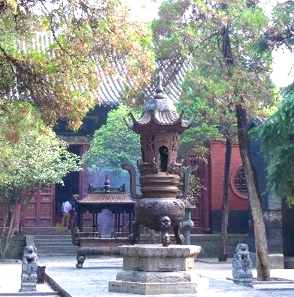 Some of the traditional food and handicrafts of Shanghai can be found here. Then we come to the Bund, The renowned waterfront district is the city's most famous landmark. The word BUND is of Anglo-India origin meaning embankment on the waterfront. It is also the popular site to enjoy the night view of the city. Standing at Pudong New Area at the east side of Huangpu River, Oriental TV Tower was completed on October 1, 1994. The tower has a height of 468 meters. With multi-functions of sightseeing, catering, shopping, amusement and accommodations, this tower has become the symbol of the city and a popular tourist attraction in Shanghai.